Signed with the Bombers as a free agent on February 13, 2018 after spending two seasons with the B.C. Lions. Fenner started the first four games of the season before being moved to the reserve and then injured list over the course of three games from July 14-July 27. He returned to the lineup as a designated import on August 10th against Hamilton and remained in a rotational role on defence through to the end of the regular season and playoffs. An outstanding special-teams player, Fenner led the club in special-teams tackles with 24 and added 20 defensive tackles, two quarterback sacks and two pass knockdowns. 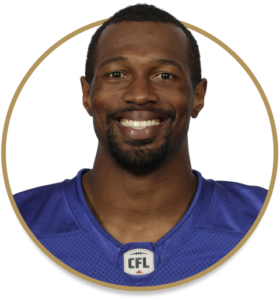 Made his CFL debut for the Lions against Montreal on September 9, 2016. Appeared in eight games in his first CFL season and started two while also playing in both playoff games. Recorded 29 tackles and a forced fumble while adding five more tackles on special teams. Began and finished 2017 as a regular in the Lions defence, finishing second on the team in defensive plays (124) and tackles (76), including one quarterback sack, 10 pressures, one interception, seven knockdowns, one fumble recovery and one tackle for a loss. Led the Lions and tied for second in the CFL with 27 tackles on special teams. Fenner appeared in 44 games over four years at Holy Cross, finishing with 115 tackles, two interceptions and 18 pass knockdowns… Was signed by the Kansas City Chiefs as an undrafted free agent in 2012 and spent the 2013 season on the Seattle Seahawks practice roster, earning a Super Bowl ring… Appeared in 11 games with the New York Giants in 2014, recording five tackles before being waived.